If you are one of those folks who wait until the last minute to do your holiday shopping or just need to pickup a few more items, be sure to be safe this holiday season. In this economy, there are a lot of people out there who would rather get gifts at a substantial discount by taking them from you (after you've paid for them). Shop during the day, if possible. Crime can happen at anytime but it is easier to do at night when there is a limited amount of light making it easy to hide. Shop with a friend or family member. Especially if you shop at night. Not only will this help to keep you safe, it may also keep you from overspending!! Don't carry large amounts of cash. Once your cash has been stolen, there is a good chance you won't get it back. Use a credit card (if you plan to payoff the purchase in full). If thieves steal your credit card, as long as you report it asap, you will not be responsible for the unauthorized charges. Try to limit the number of credit cards you carry in your wallet or purse in case your wallet is lost or stolen. This will save you a lot of time by not having to call the bank of all the cards in your wallet. My favorite card is the Discover Card. Top notch customer service and easy to use online interface. Better yet, don't carry a purse or wallet. It's best to carry only your ID and a credit/debit card in a safe. Be aware of your surroundings. Know where you are and who is near you at all times.Try to stay off your cell phone until you are in a safe location. Keep it handy though in case you need to call the police. Keep your packages out of sight. Place packages in the trunk where they are not visible from the outside. If you have an SUV, be sure to make sure your items are not easily visible by someone walking by your vehicle. The easiest way to stay safe and avoid the crowds is to shop online. I plan to do 99% of my shopping online because it is easier to comparison shop and find a good deal. I am also able to avoid the crowds and rude people. Be sure to subscribe to SingleGuyMoney here to get notified of all the latest posts. Don't be shy and feel free to leave a comment. I agree with you SGM about the online shopping pros. 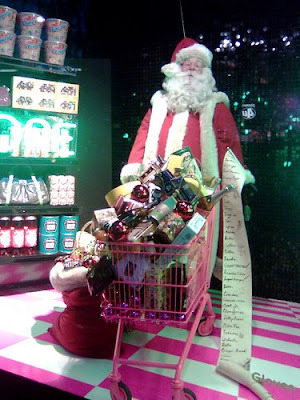 I look for the gifts I want before the shopping frenzy begins. I need to touch stuff before I can make a decision...then I buy it online...coz it is cheaper that way. I hadn't even thought about getting mugged during Christmas shopping. Thankfully, I did all my shopping online this year. This post has been featured on the 89th Carnival of Money Stories at Retire at 40. Great ideas to not get wound up into the whole spending malarkey. I am so glad that someone else thinks the holidays are dangerous. My brother was attacked yesterday morning while getting out of his car in a parking lot. Nice tips for people to follow. Thankfully he only had minor injuries. @Jeanie: Good to hear that your brother was not seriously injured.